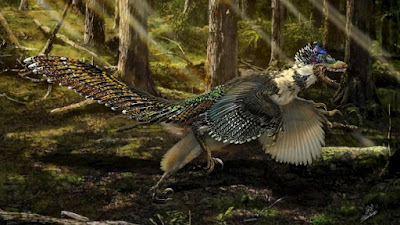 Jared Unzipped: Newly Discovered Raptor Zhenyuanlong suni Had Wings. 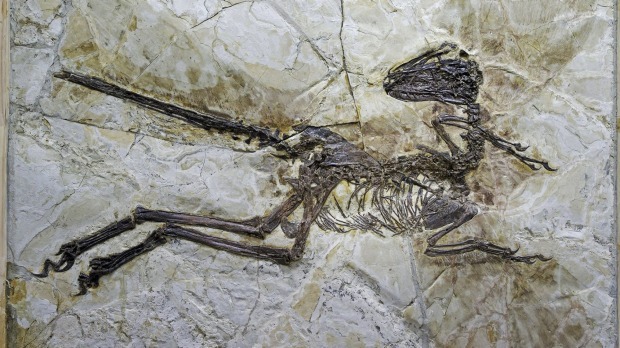 Newly Discovered Raptor Zhenyuanlong suni Had Wings. Say hello to the Velociraptor's nasty, feather-covered cousin. This is the newly discovered dinosaur Zhenyuanlong suni. It was alive roughly 125 million years ago during the Cretaceous Period. Paleontologists recently found a near-complete skeleton of it in the western province of Liaoning, China. It was perfectly preserved in rock. The magnificent wings which it bore were clearly visible surrounding the fossil. This marks the largest feather-covered dinosaur ever found. As with other members of its family, Zhenyuanlong suni was a land-bound predator. It didn't use its wings for flight. Instead, the feathers were merely used for display -- either to scare off other predators, attract a potential mate or establish superiority in a community. It's now commonly believed that many more dinosaurs bore feathers than previously thought. One of the chief concerns with the ever-popular Velociraptor is that it most certainly had feathers or wings as well. I recently covered this discrepancy in my review of Jurassic World. While we can't wholly fault a fantasy film for incorrectly depicting dinosaurs, I do hope the day will come where dinosaurs are more accurately envisioned when brought to the big screen.